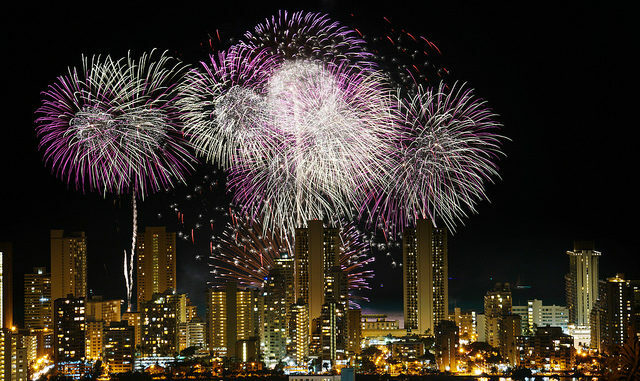 On June 4, 2017, Pyro Spectaculars by Souza launched the largest fireworks show ever staged in Hawaii off of 5 barges at Waikiki Beach. The show was the grand finale to the Japanese firm, Royal Cosmetics a Japanese company celebrating its 30th anniversary. There were 50,000 lbs. 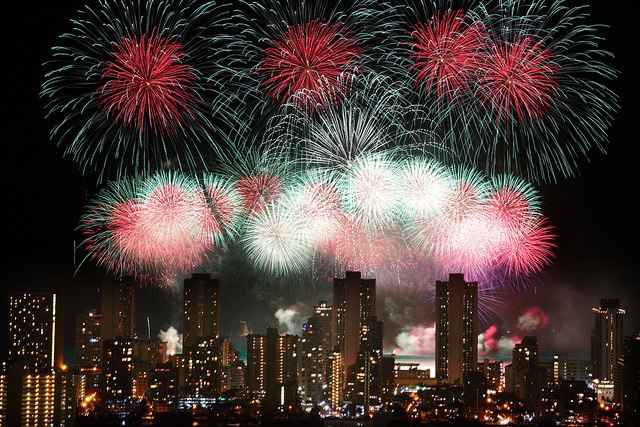 of mortars and firing equipment used to launch 5 tons of explosives high in the dark blue sky of Hawaii. The show featured a combination of Japanese and American pop songs. Some new effects were introduced like the magic peony, 3D Shells, and a specially designed Aloha Scene. 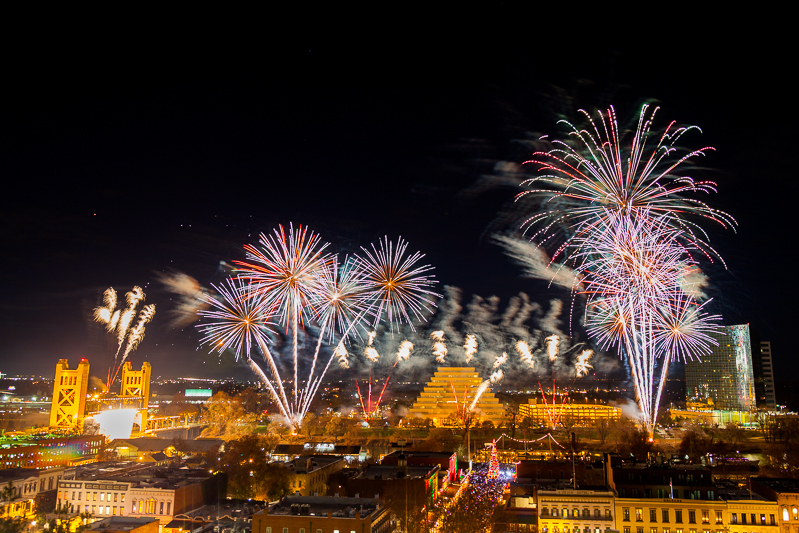 The grand finale displayed the wonders of the Japanese Kamuros lighting up the sky in brilliant gold willows. The private party was held at the historic Royal Hawaiian Hotel and was view by thousands of spectators along the beach, hotel and high rises. The music was broadcast over the Pyro App where the audience listened to the music on their hand held phone. This was an Olympic event in its complexity, logistics, and performance. 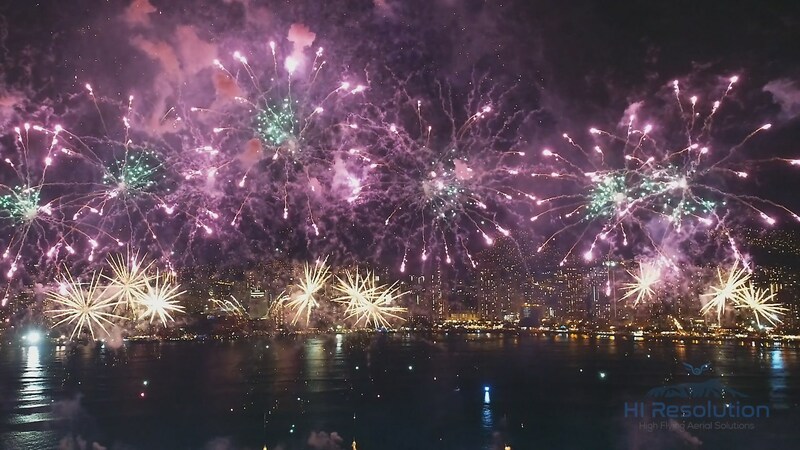 “The crew of some 25 pyrotechnic operators made us all proud for the hard work and dedication to pulling this one off” said Jim Souza,“ President and Show Designer, “and they made us all proud to make our mark on the Hawaiian Islands for the Souza family who’s immigration roots date back to the 1890s”.